As people seek cheaper and more efficient alternatives to have seemingly simple medical procedures performed on an outpatient basis, many are turning to surgery centers without realizing the risk this decision brings. Even very simple treatments can lead to injury and potential medical malpractice if the proper protocol and training is not used. These surgery centers, numbering in the thousands nationwide, were designed to offer elective and minor surgeries that did not require much recovery time. However, many are now trying to perform much more involved procedures that leave some patients with substantial injuries. These facilities lack the oversight and transparency of hospitals, which can complicate finding information about past incidents where patients experienced bad outcomes or injuries. However, they are still held to the same standards applied to more traditional medical facilities when it comes to providing an appropriate and acceptable level of care to their patients. A discussion of some common sources of medical malpractice often seen at these surgery centers, and some unique issues relevant to holding them liable for an injury, will follow below. Unlike hospitals, surgery centers tend to use independent service providers to perform a significant portion of the work needed to treat patients and perform relevant procedures. This includes the surgeon and anesthesiologist in many cases; meaning, instead of being an employee of the facility, he/she is an independent contractor authorized to use the space and equipment to perform surgery, but is not technically under the surgery center’s direct supervision. These centers will use this relationship to argue that they should not be responsible for the actions of the contractor. 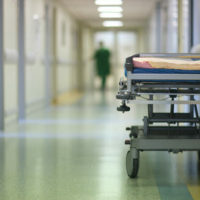 However, the law says that if a patient reasonably believed the contractor was acting on the behalf of the surgery center – a concept referred to as vicarious liability, the facility could share liability for incidents of medical malpractice. Note that the impression of an association between the facility and the medical provider must come from more than actions of the contractor, and include communication from the surgery center itself that made it unreasonable for the patient to discern the service provider was not an employee. An experienced medical malpractice attorney can assess which parties may share liability following a patient injury. You should be able to trust that medical personnel who provide treatment know how to provide the care you need so you emerge safely from surgery. When that does not happen, and you are injured, a medical malpractice attorney can help you get the compensation you deserve. The Miami attorneys at Pita Weber Del Prado know what it takes to hold a medical provider accountable. Contact us for a free consultation.